NU Farm Workers Receive Bikes! Transportation in Zambia is a challenge to many people, more so for those that have to get to distant places. Northrise University Farm workers face this challenge every day as they walk a round trip of 10 to 20 miles. 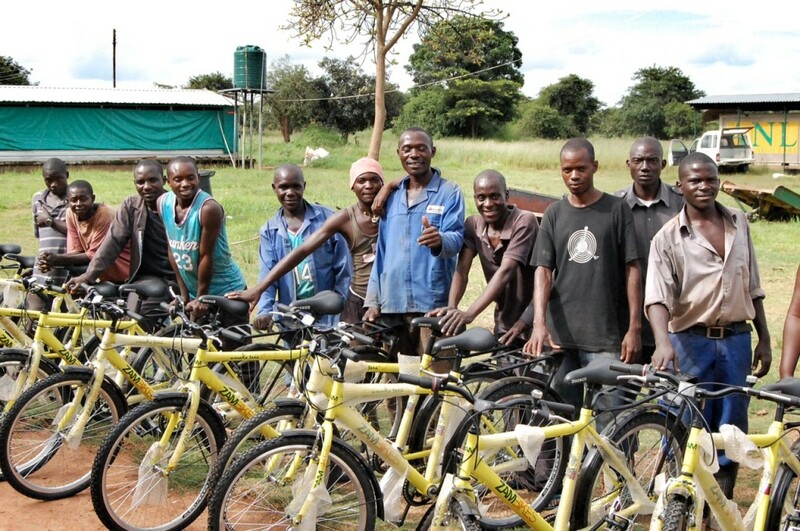 Tuesday, 5th February 2013 changed the lives of 23 Farm workers who gleefully received bikes for their transportation. Thanks to Alex Plumb, a friend of Northrise who upon visiting and closely working with the Farm Workers saw the need and big-heartedly donated 23 bikes. Northrise is glad that its Farm Workers will not only be able to report to work on time, but also that they have a means of transport to other places they desire to visit. God bless your big heart Alex!